Universal face care for day and night with high proportion of cell protecting provitamin A, carotene, smoothing sun flower and coco oil. For a noticeably improvement in skin texture. 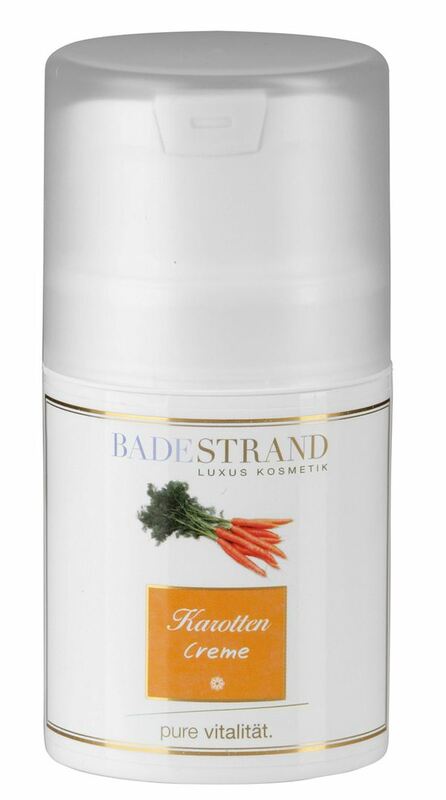 Universal face care for day and night with high proportion of cell protecting provitamin A and carotene. Balancing effect in the case of combination skin and prevents dry skin areas. Contains smoothing sun flower and coco oil and improves noticeably your skin texture. In the case of pale complexion slightly toning. It is well absorbed and mattes pleasantly. Effectiveness and tolerance are dermatologically proven. 28 days of skin testing with applications 2 x daily. Apply on a daily basis or if required. aqua, isopropyl palmitate, cocos nucifera oil, polyglyceryl-3 methyl-glucose distearate, glycerin, helianthus annuus seed oil, cetearyl alcohol, palmitic acid, prunus amygdalus dulcis oil, stearic acid, parfum, triticum vulgare germ oil, sodium benzoate, daucus carota sativa root extract, beta-carotene (CI40800), tocopherol, ascorbyl palmitate, potassium sorbate.